Shy little Monique never let on her vision was fading, leading everyone to believe she simply wasn’t trying. But one day, as Monique fumbled around, Grandma realised all was not all as it seemed. 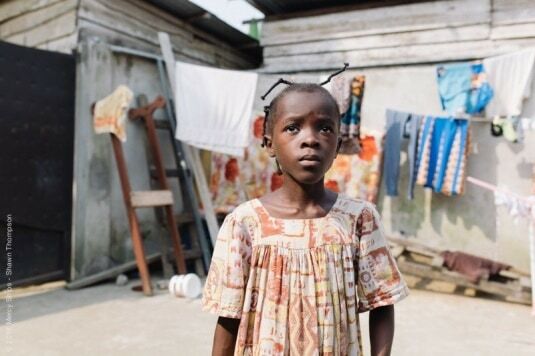 Monique waited in darkness, listening intently to her grandmother voice going over the day’s lesson. 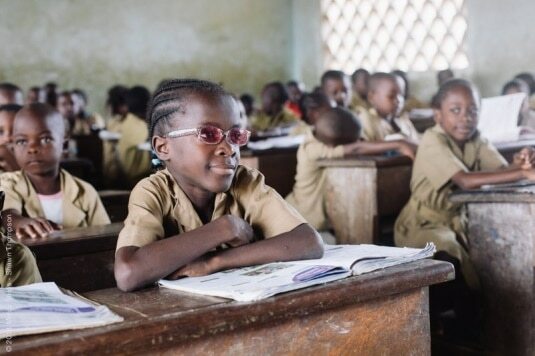 The nine-year-old could not attend the village school because of her blindness. Despite looking forward to quieter days after more than 40 years teaching, Grandma Melone homeschooled Monique to ensure she didn’t fall too far behind. Any money she could spare she put aside for eye surgery. ‘I promised myself that no matter what it took, I would get enough money together because I wanted so badly for her to have a future,’ Melone said. After saving for more than three years, there was only enough for a deposit. The surgery would leave her in severe debt. But then Mercy Ships sailed into Cameroon, and hope filled her heart. 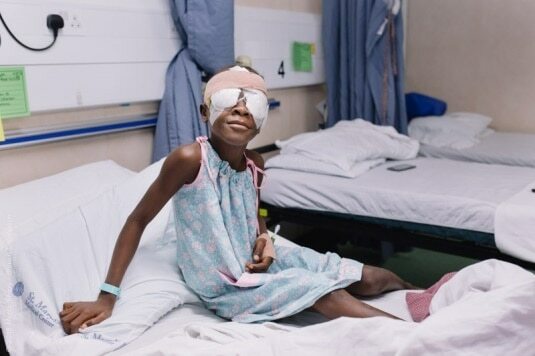 Monique was scheduled for the free, 20-minute cataract operation which change her life, and her Grandmother’s life too. 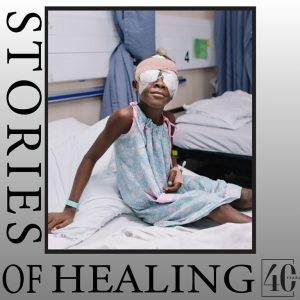 The morning after her surgery, her eye patches were slowly lifted as the room held its breath in anticipation. Suddenly, life filled Monique’s eyes as she scoured the room. She looked at all the things she’d missed over the past three years, including her beloved grandmother. ‘I see everything! ’Monique cried, ‘I see it all!’ Her bright-eyed gaze quickly darted in every direction as if she couldn’t take it all in fast enough, pointing at everything. Melone looked on with a smile, tears filling her own eyes.